ARTICLE: This article has two parts: the first is a group keyword interview (of a-l-p-h-a), and the second is a report about a "special challenge" they were all given in the issue to design their own Christmas cakes. ARTICLE: This article has two parts: the first part is a group interview, while the second is a report about amochitsuki (rice pounding) challenge they did for the issue. ARTICLE: A backstage and live report about their show at Gifu CLUB ROOTS. ARTICLE: This article has three parts: a group interview about their single MIRROR BALL, a behind-the-scenes report about their part in the movie Aquarian Age, and a report about their live at Shinkiba STUDIO COAST. 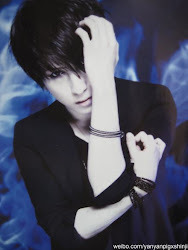 ARTICLE: Tora's is the first in a series of personal keyword interviews for the magazine. ARTICLE: Hiroto's is the second in a series of personal keyword interviews for the magazine. ARTICLE: Saga's is the third in a series of personal keyword interviews for the magazine. ARTICLE: A group interview about alice in pictures I&II, along with some general talk. ARTICLE: Alice Nine's third time featured on the cover! This issue had several parts: a group interview about the RAINBOWS single, general personal interviews, and a report about the bowling competition they had for the issue. ARTICLE: Nao's is the fourth in a series of personal keyword interviews for the magazine. There are also two pages of coverage about an event Alice Nine did for the release of the RAINBOWS single. 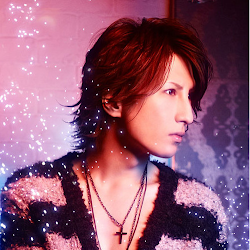 ARTICLE: Shou's is the fifth in a series of personal keyword interviews for the magazine. There are also two pages of coverage on a live they did during the summer. [note: that seems weird, but I don't have the magazine to be able to check if those pages really belong there]. ARTICLE: An interview with Tora, Hiroto, and Saga about the CROSS GAME single.